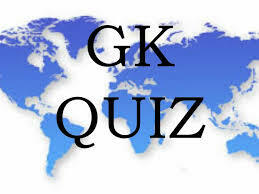 General Knowledge questions on Indian GK for Bank PO, IBPS, Bank Clerical And Indian GK For Railway GroupD,RPF,Rajasthan Police SI 24-10-2018 questions for bank exams, very important computer-related questions for Bank PO, SBI PO, IBPS,RAS, IAS, UPSC, RPSC, 1st, 2nd, 3rd Grade Teacher, REET CTET, LDC, SSC CGL, IBPS, MBA, CAT, MAT, SBI-PO, RBI And Railway, Indian Army And all competitive Exams, and Most expected Computer Question Papers with answers. These Questions are most commonly asked in Other Banking Exam And All subject Wise Notes and Math, Hindi, English, History, Political Science, Psychology, Sanskrit Related Study material. Question(1) What was the main feature of Akbar’s rule? अकबर के शासन की प्रमुख विशेषता क्या थी ? Question(2) Which Sufi saints were contemporary of Akbar? कौन-से सूफी संत अकबर के समकालीन थे? Question(3) The Lal Fort in Agra, ‘Laigh Door’, ‘Buland Darwaza’ are the main points of whose era? ‘आगरा में लाल किला’, ‘लाई दरवाजा’, ‘बुलंद दरवाजा’ किसके काल के प्रमुख बिंदु हैं? Question(4) Who created the ‘Translation Department’? ‘अनुवाद विभाग’ की स्थापना किसने की? Question(5) Who translated the Panchatantra ‘into Persian? ‘पंचतंत्र’ का फारसी में अनुवाद किसने किया? Question(6) Which Mughal emperor is the golden period of Hindi literature? किस मुगल सम्राट के काल को हिन्दी साहित्य का स्वर्ण काल कहा जाता है? Question(7) What was the official language of the Mughals? मुगलों की राजकीय भाषा क्या थी? Question(8) Which temple was built by Akbar in ‘Buland Darwaza’? ‘बुलंद दरवाजा’ किस उपलक्ष्य में अकबर ने बनवाया था? Question(9) Jahangir (Salim) is remembered for whom? जहाँगीर (सलीम) को किसके लिए याद किया जाता है? Question(10) What was the main feature of Jahangir’s rule? जहाँगीर के शासन की मुख्य विशेषता क्या थी?